The Sun is in Virgo and the Moon is in Aquarius from 23:59 GMT, 5 September 2014, to 0:47, 8 September 2014. Virgo and Aquarius are a blend of mutable Earth and fixed Air, combining Virgo’s efficiency, purification, selection and service with Aquarius’ originality, rebelliousness, inventiveness and genius. Here the practical, down-to-earth and organised nature of Virgo applies beyond the boundaries of linear time and space, coming to terms with the multidimensional and grounding at the level of our human perception. Those who resonate with this combination are multi-dimensionally aligned technicians, artists and healers. They have the ability to firmly reside in the realm of earthy practicality and ordinary reality, exercising grounded objectivity and critical faculties, while simultaneously being at work above the mundane horizon and venturing into exceptional spheres of consciousness. Their dedication to collective enterprises of healing and service is paramount, especially when it involves the use of unconventional, surprising and unpredictable resources. They are not usually interested in being public acknowledged and, although they contribute with outstanding ideas and inventions, their names remain in the background. During this binary the Moon is still Gibbous Moon, though it is gradually approaching the Full Moon. If the first days of the Gibbous Moon have provided harmony, ease and effective work, this is a time of anticipation for the upcoming challenges of the Full Moon. You may start to identify some areas drawing attention and requiring action. This could be either the best time to undertake action, with the desired outcome climaxing with the Full Moon, or to acquire the necessary resources so as to act on the Full Moon itself. Virgo and Aquarius are in quincunx aspect, an angle of 150°, which is five-twelfths of the 360°. This aspect tends to cause slides into parallel universes affecting what happens in your everyday reality with occasional glimpses of other configurations. The influence can be moderate, yet in some circumstances rather abrupt. Qualities: analysis, detachment, inventiveness, innovation, integrity, originality. Celebrities: Gustav Holst, HG Wells, Sophia Loren, David Copperfield, Ovidio, Sri Chimnoy, Jens Liens, Sheridan Le Fanu, Cesare Borgia, Phil Jackson, Jophn McCain, Morten Harket, Bill Murray. Astroshamanic Seal: a circle with a vertical line and two lower diagonal lines, representing a hand. 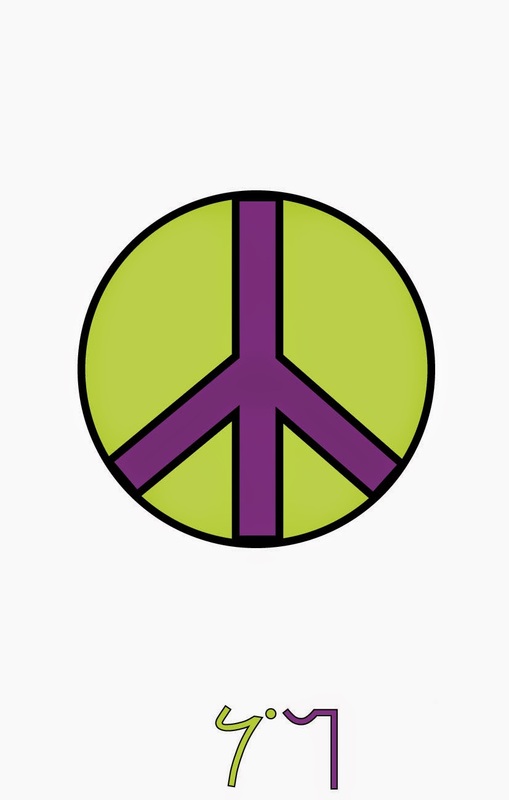 The glyph resembles the logos of "make love not war". This seal emphasizes detachment and operative focus. It allows to release major interferences and grievances by simply turning off their functionality. It brings awareness towards our primary tasks in life, letting of amnesia, conditionings and decoys. It is a very straightforward and uncompromising seal.